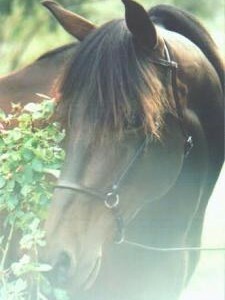 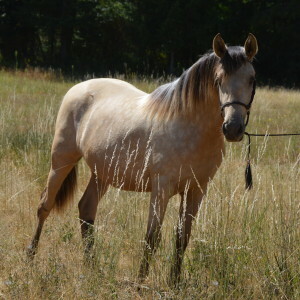 “Benny” is a young mare here and we are so very excited about her! 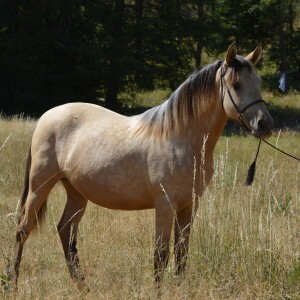 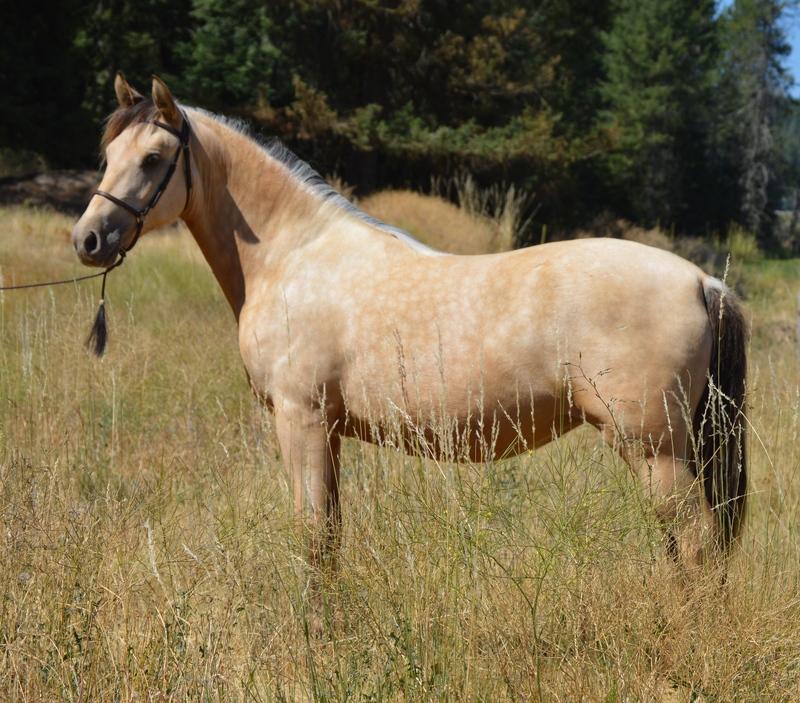 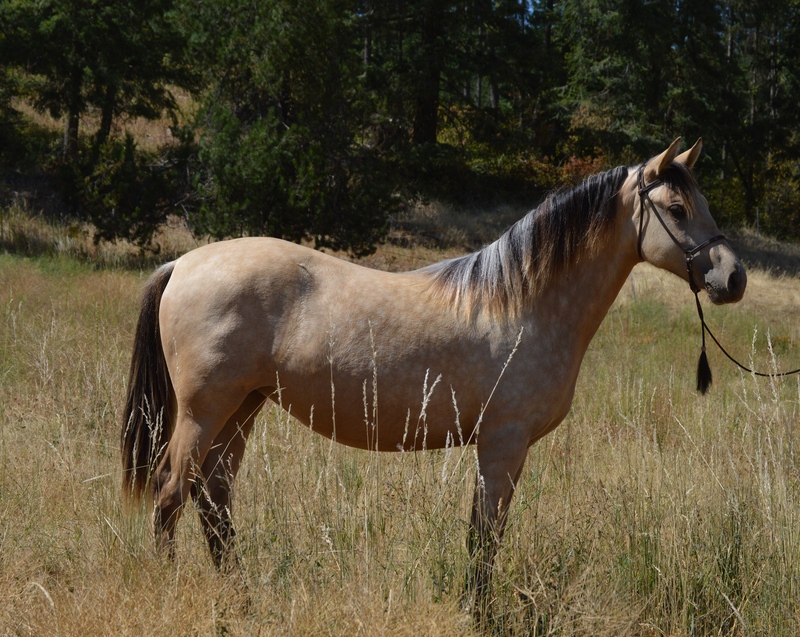 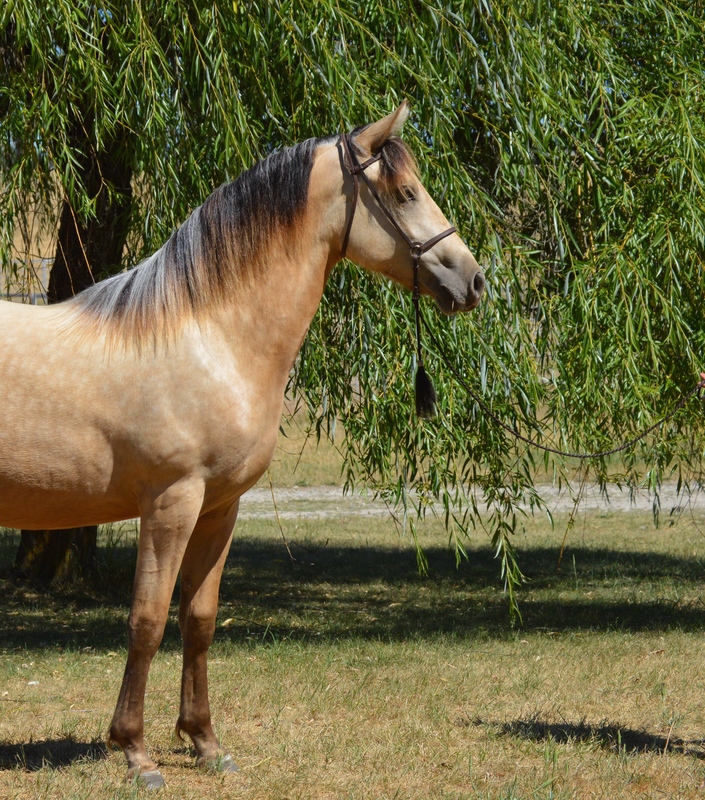 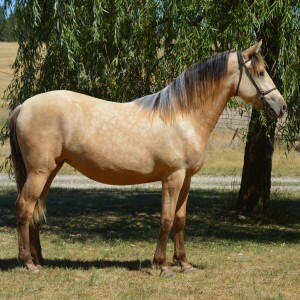 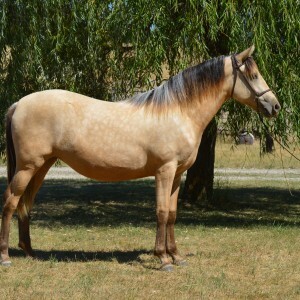 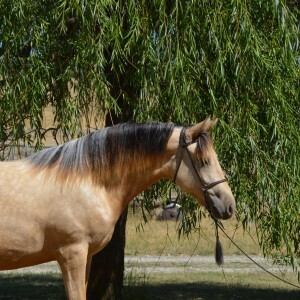 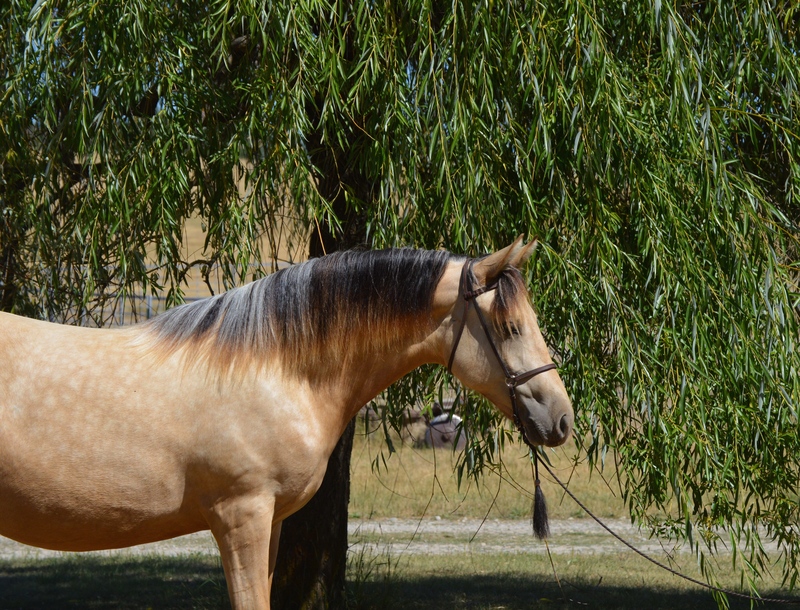 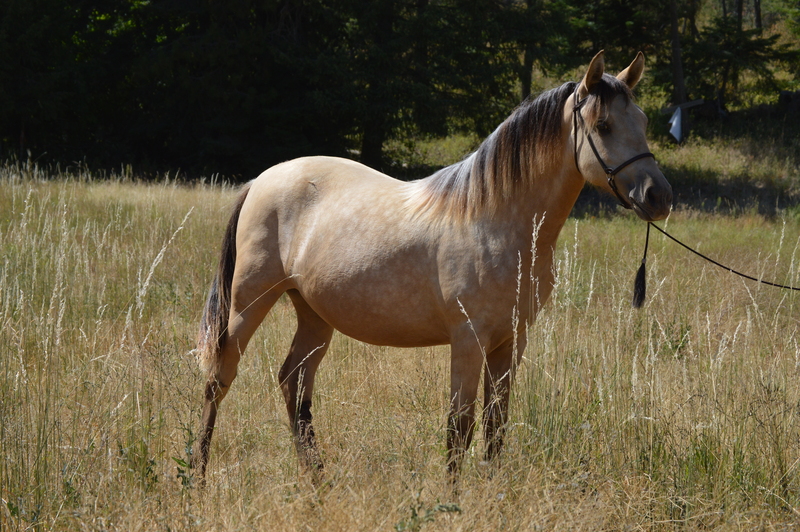 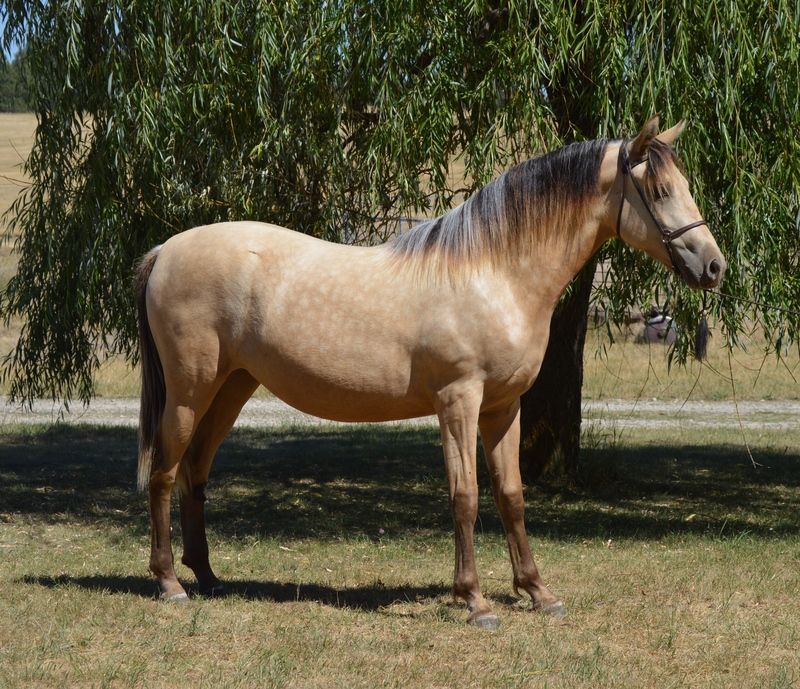 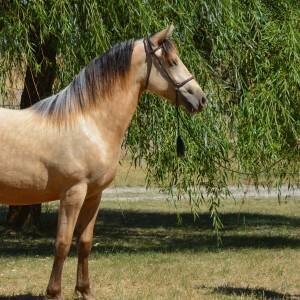 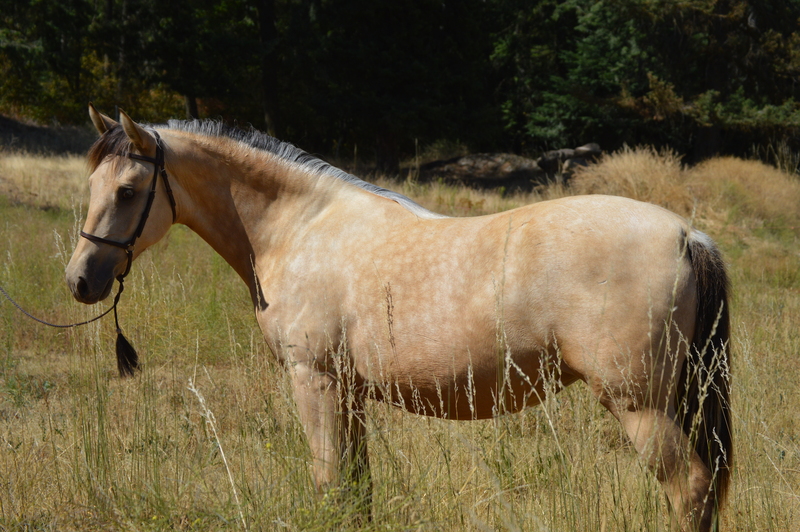 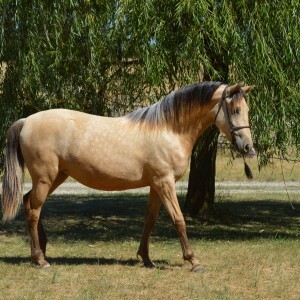 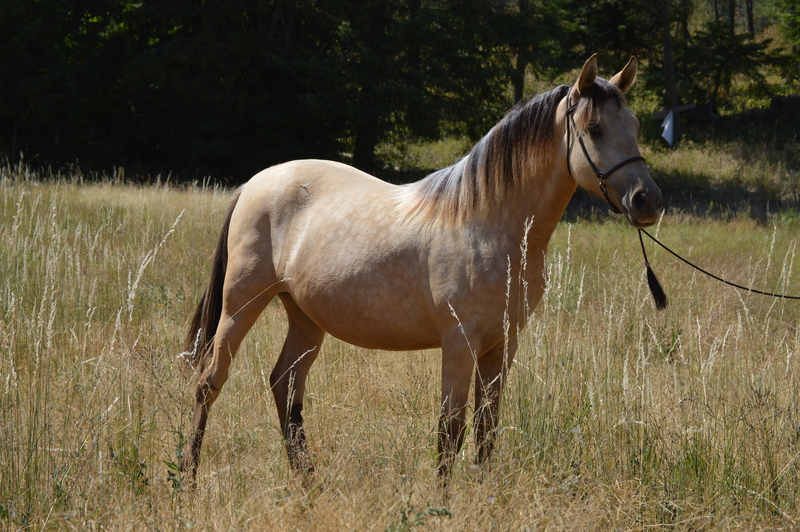 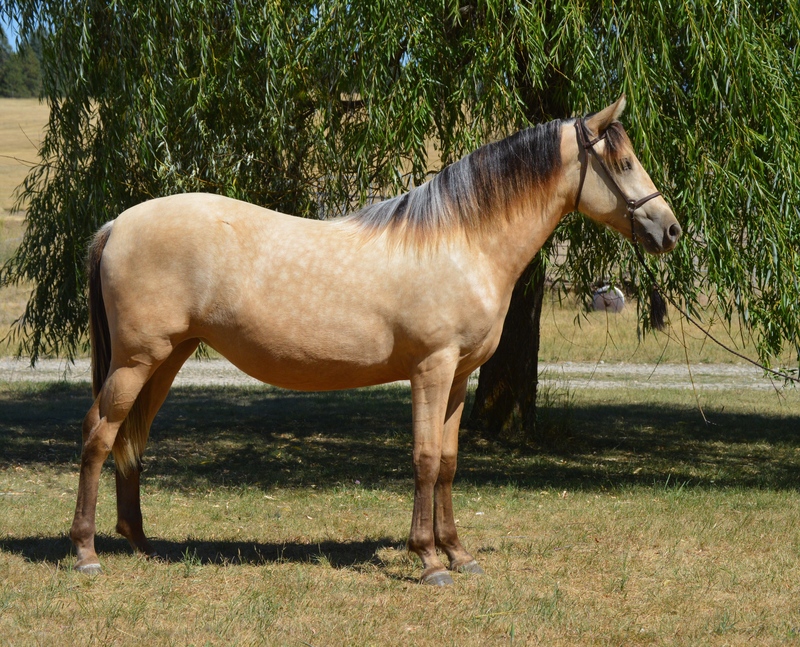 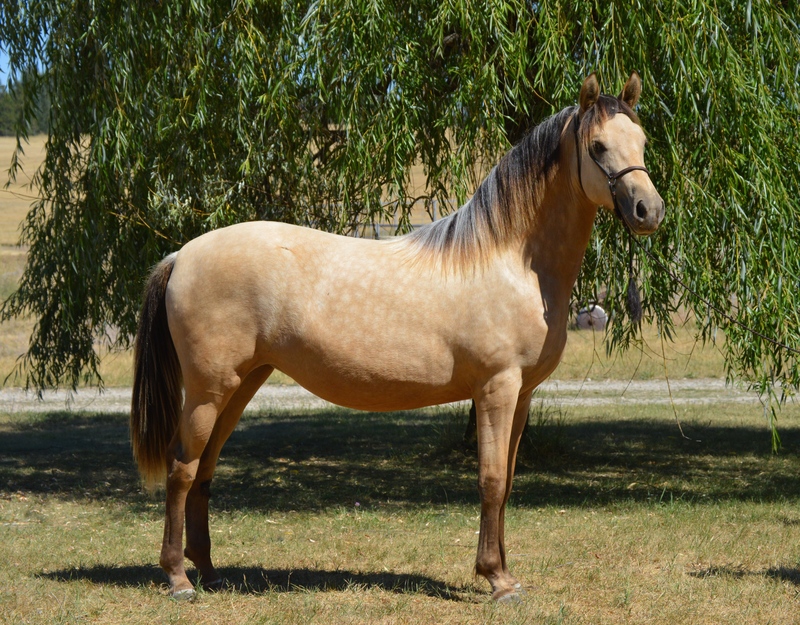 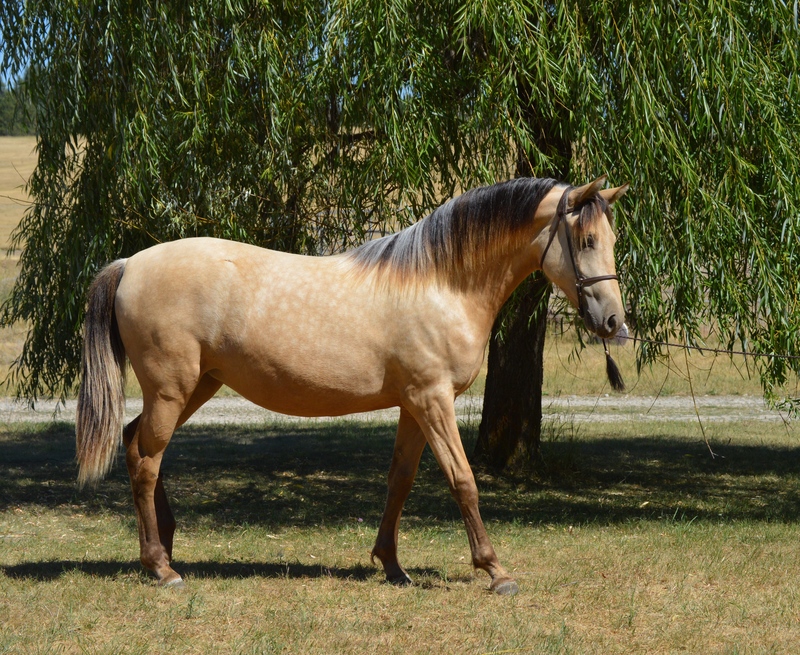 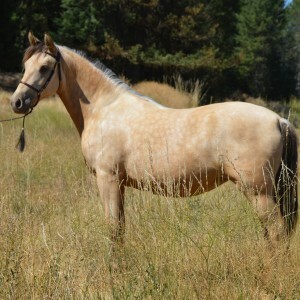 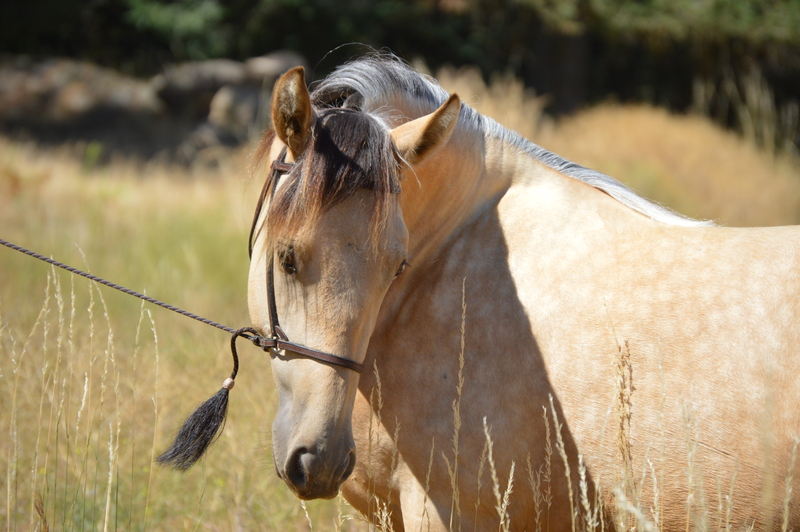 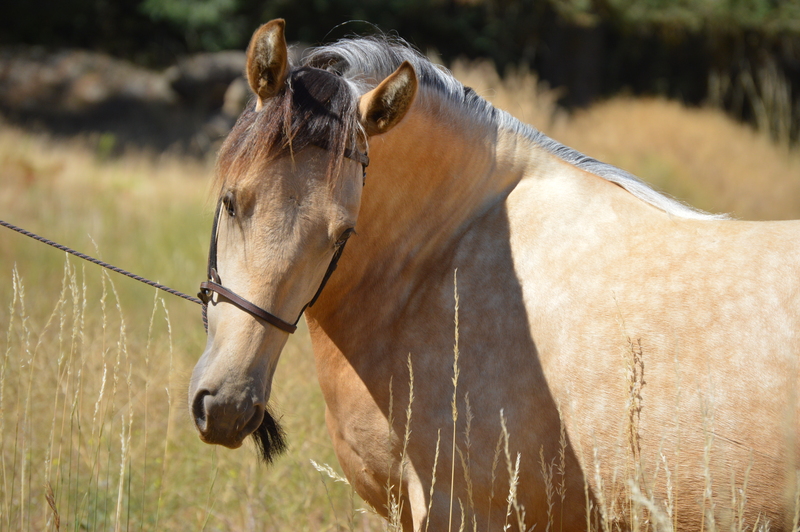 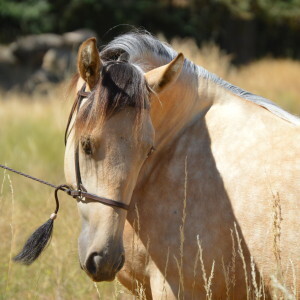 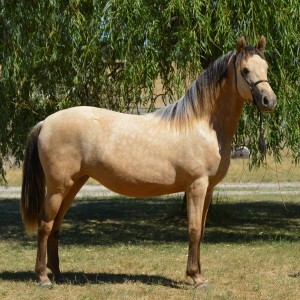 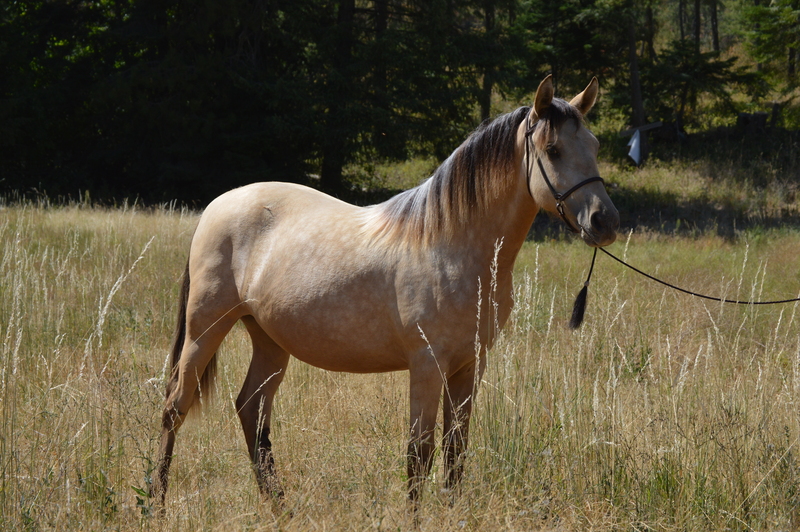 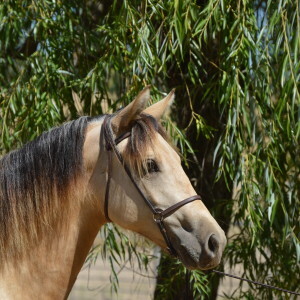 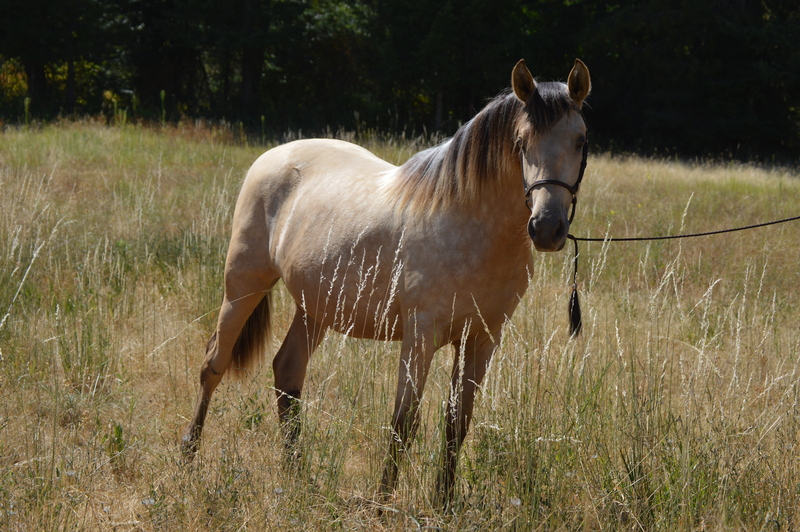 She is a very rare and unique color–a buckskin and a silver dapple, there are only a handful of Morgans in the world with this color combination. 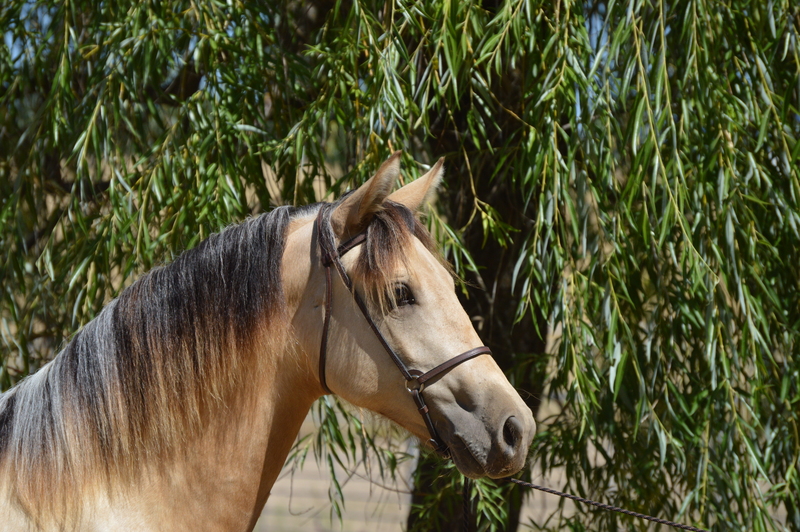 Benny has a fabulous temperament and wonderful movement. 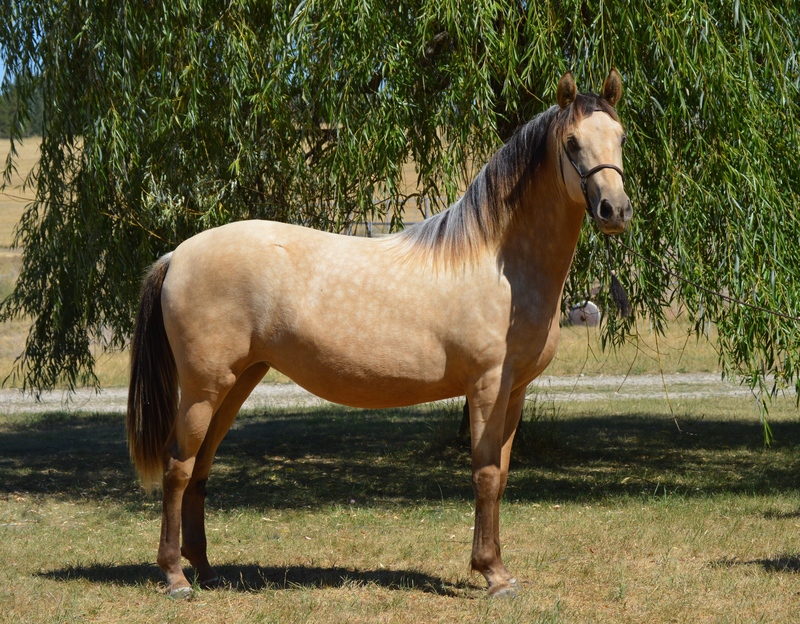 There is nothing but excellence in this filly.